My design this week really led to some reflection. The theme is simplicity and everything came together so easily that it got me to thinking. 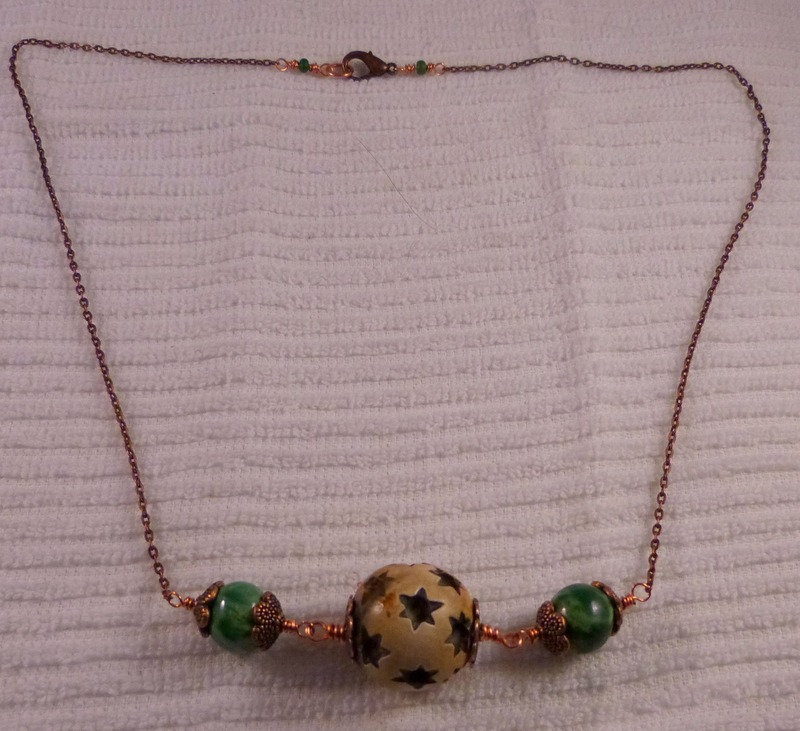 I try to design jewelry that other people and the designs tend to be slightly busy yet when I look at the necklaces that I wear the most, they are all pretty simple. I really think that I need to design a simplicity line for women like myself. 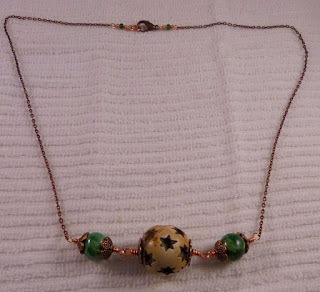 In this piece I used a large wooden bead that I was given in a swap and then ceramic beads from Firefly Design Studio.